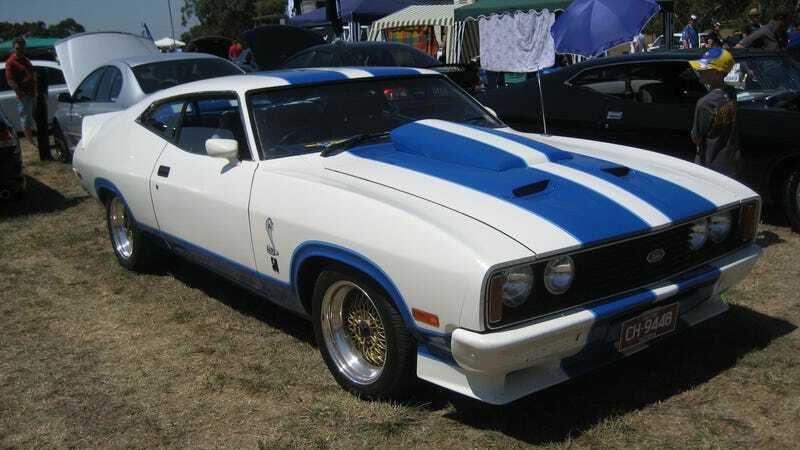 I remember getting interested in Australian car culture the moment I saw my first Mad Max Interceptor. With news that Ford is ceasing production of big RWD cars in Australia we thought we'd look back at the best with your help. Years after seeing that first big Ford, I had flatmates from down under while living in London who kept telling me that being a Holden (GM) or a Ford guy is "more serious business than a rugby final against the All Blacks (New-Zealand)." Now it seems like Australian Fords are going even further down, leaving us without Falcons and their Ute variants. Ford Australia was founded in 1925, so you have almost ninety year's worth of Aussie steel to choose from. Which is your favorite?